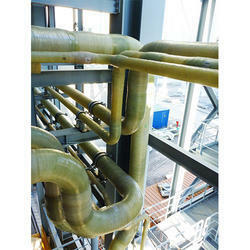 We are one of the leading suppliers of excellent quality FRP Pipes Systems and FRP Pipes and Fittings. These are manufactured by strictly following the internationally accepted norms under the strict observation of our team of quality analysts and other professionals. Quality is checked on various parameters by our quality analysts to ensure durability and optimality. Our collection includes Industrial Vessels, Anticorrosive Engineering Tanks and FRP and PP Products. We welcome queries for FRP Products from South India region including Andhra Pradesh, Karnataka, Kerala and Tamil Nadu & cities like Bangalore, Chennai and Hyderabad. We take pride in manufacturing excellent quality FRP pipes and FRP Piping Systems fittings. We offer these products in both dual and FRP laminates. These are manufactured by acquiring high grade raw materials with the help of high tech machines. These are available in multiple pressure ratings and varying sizes. We manufacture these fittings in various types like stub ends, bend, flanges, tees, elbows, reducers, end caps, blinds, so on. Our products are widely appreciated for its excellent properties like impact strength, flexural and tensile. 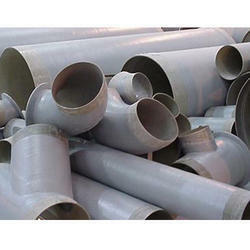 We are engaged in supplying broad ranges of PVCFRP Pipes and Fittings for our valuable patrons. These are extensively used in various applications such as drinking water, tube well casing, laying irrigational lines, brewery pipelines and telecom cable ducts. Our team of quality controllers takes the effort to examine all the products before they are delivered to the client. These are manufactured as per with industrial norms. These fittings and pipes are rigid in nature. 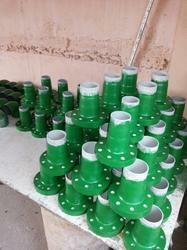 We take pride in manufacturing excellent quality FRP pipes and GRP/FRP Piping Systems fittings. We offer these products in both dual and FRP laminates. These are manufactured by acquiring high grade raw materials with the help of high tech machines. These are available in multiple pressure ratings and varying sizes. We manufacture these fittings in various types like stub ends, bend, flanges, tees, elbows, reducers, end caps, blinds, so on. Our products are widely appreciated for its excellent properties like impact strength, flexural and tensile. 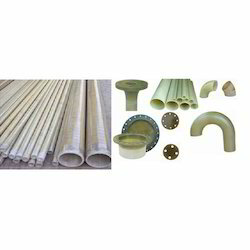 We are engaged in supplying broad ranges of PVC-FRP Fittings for our valuable patrons. These are extensively used in various applications such as drinking water, tube well casing, laying irrigational lines, brewery pipelines and telecom cable ducts. Our team of quality controllers takes the effort to examine all the products before they are delivered to the client. These are manufactured as per with industrial norms. These fittings and pipes are rigid in nature. 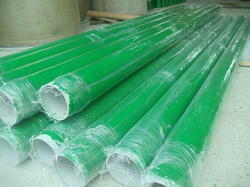 We take pride in manufacturing excellent quality PP FRP Pipe & Fittings. We offer these products in both dual and FRP laminates. These are manufactured by acquiring high grade raw materials with the help of high tech machines. These are available in multiple pressure ratings and varying sizes. We manufacture these fittings in various types like stub ends, bend, flanges, tees, elbows, reducers, end caps, blinds, so on. Our products are widely appreciated for its excellent properties like impact strength, flexural and tensile.